“Nicky is the player that just doesn’t stop. You’d be hard pressed to find anyone in the league who works harder or has the energy to match him and on top of that he has the ability to get amongst the points on a regular basis. 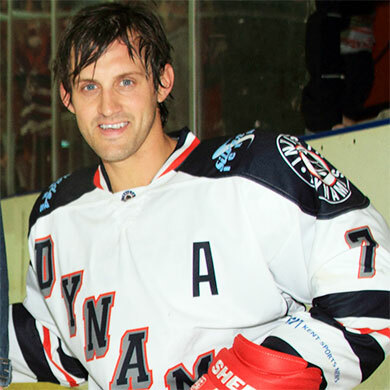 He can be a valuable asset at both ends of the ice whilst he is also a very popular character back in the changing room and I’m pleased to have him signed up again for 2014/15. Nicky has been with us for some time and whilst he may not have started off as a local lad he certainly seems like one now. He’s a dependable player, a fine athlete and I know exactly what I’ll get from him every time he takes to the ice”.